PA chairman accuses Israel of implementing a policy of ethnic cleansing in Jerusalem. Palestinian Authority (PA) chairman Mahmoud Abbas on Sunday accused Israel of implementing a racist discrimination regime similar to the apartheid regime in South Africa. In a speech on behalf of Abbas, delivered by the PA official in charge of foreign affairs Riad al-Maliki at the African Union summit, the PA chairman said that the United States had taken an "aggressive and unilateral" step when it recognized “occupied Jerusalem” as the capital of the "Israeli occupation state" and transferred its embassy from Tel Aviv to occupied "Al-Quds" in defiance of the international position. Abbas noted that the Palestinian problem has been and remains a key to the implementation of security and peace in the world, and warned that the Palestinians are capable of thwarting any "aggressive" plots. He further said that the U.S. administration is acting against the international consensus regarding the settlement of the Israeli-Palestinian conflict, and therefore he cannot morally or diplomatically impose a political settlement that will harm the Palestinians. Abbas also accused Israel of carrying out ethnic cleansing in Jerusalem by approving laws similar to the laws on which the apartheid regime was based in South Africa. PA leaders have regularly accused Israel of a policy of apartheid against Palestinian Arabs in Judea, Samaria and eastern Jerusalem. 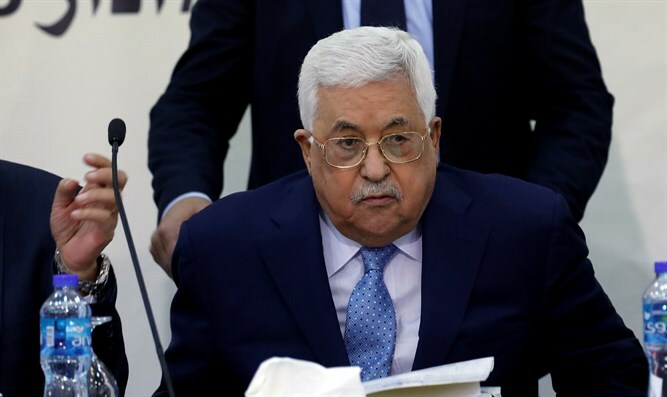 Meanwhile, it is Abbas himself who has presented a racist and hateful vision of a future Palestinian state, saying that if a Palestinian state is ever established, no Israeli citizen will be allowed to set foot inside.